Halloween is one of my favourite annual celebrations, not least because it comes with a wealth of traditions such as “trick or treating”. It can’t be denied that we Brits are making more of Halloween these days, inspired by our American cousins who really go to town on the 31st. I love decorating the house from top to toe with spiders’ webs, spooky ornaments and it is a family tradition to try to scare the grandparent by adding floating ghouls and ghost where they will not be expected. We also make sure that a few pumpkins are lit to frighten off any evil spirits. 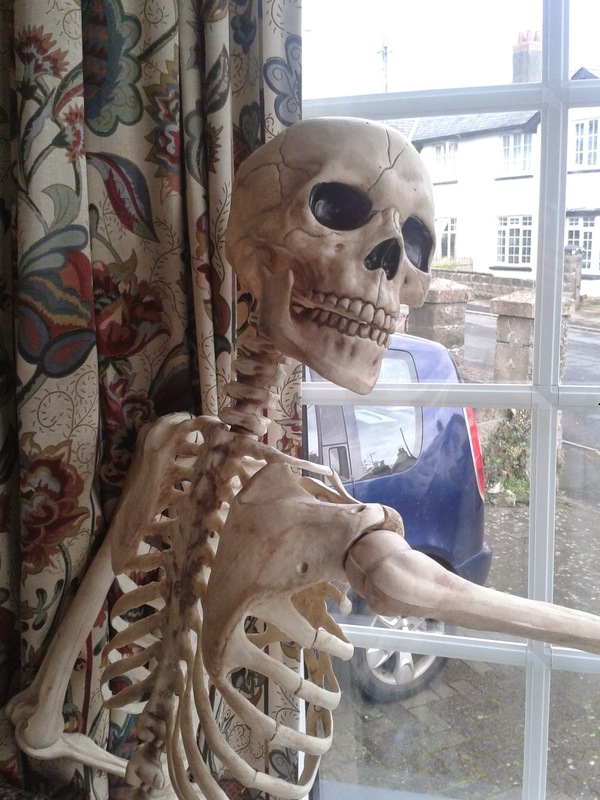 We are usually joined by our special guest, Mr Bones. And Halloween wouldn’t be Halloween without having something sweet to offer to the excited young faces who come knocking (and their parents!). I have a prize package from HARIBO worth £60 to give away! 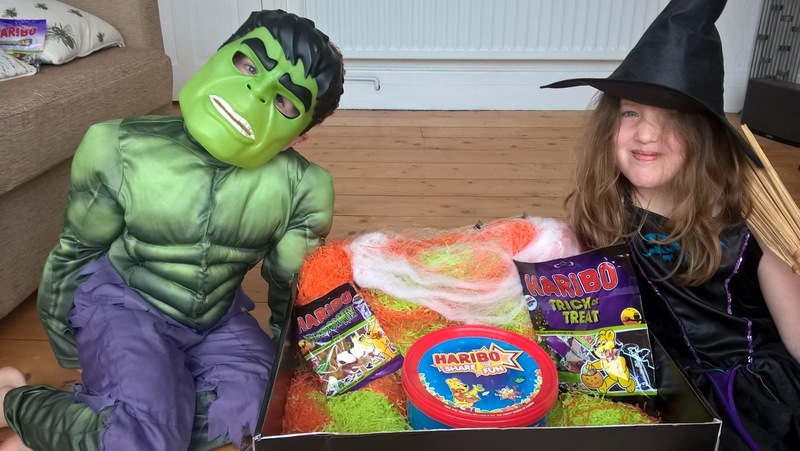 This comprises a selection of HARIBO Halloween Products and a £50 voucher for a fancy dress costume from an online party specialist or the supermarket of your choice. * HARIBO Trick or Treat multipack – a delicious bundle of Halloween themed gums and jellies in portion controlled mini-bags, which are perfect for any demon or devil on your doorstep. * HARIBO Horror Mix – a Halloween themed bag where you’ll find the tastiest bats, frogs, spiders and even broomsticks. Perfect to tip into bowls for frightful parties or to share with friends and family whilst enjoying a spooky movie night in! 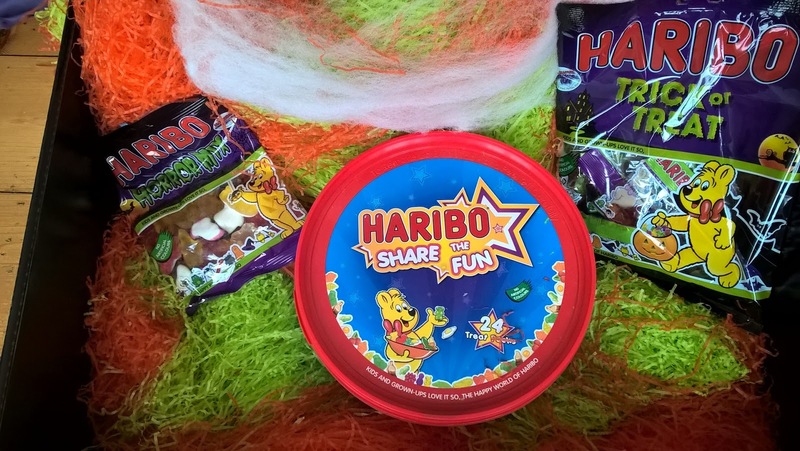 * HARIBO Share the Fun tub. 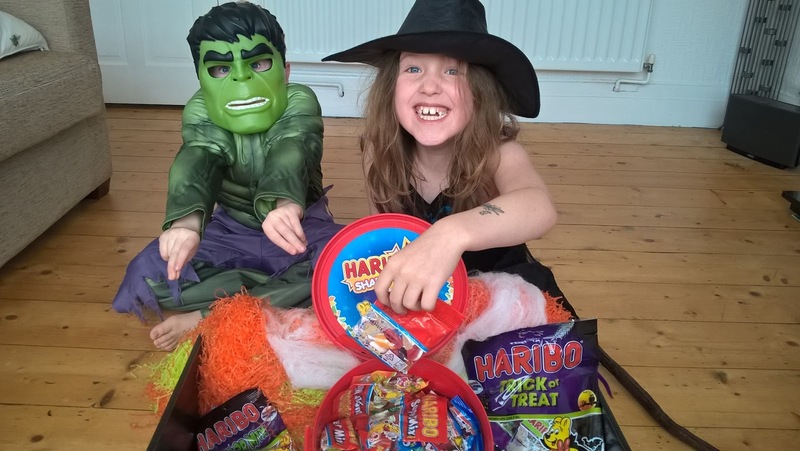 Filled with a mix of portion controlled mini bags, Share the Fun brings together HARIBO’s popular treats Starmix, Super Mix and Tangfastics – ideal to have by the door for trick or treaters. Just enter via the rafflecopter in the usual way. UK entrants only. Please note that the winner’s name and address must be received by Haribo no later than 19th October to guarantee delivery of the prize in time for Halloween. The competition ends at 11:59 pm on Wednesday 14th October 2015. Good luck!